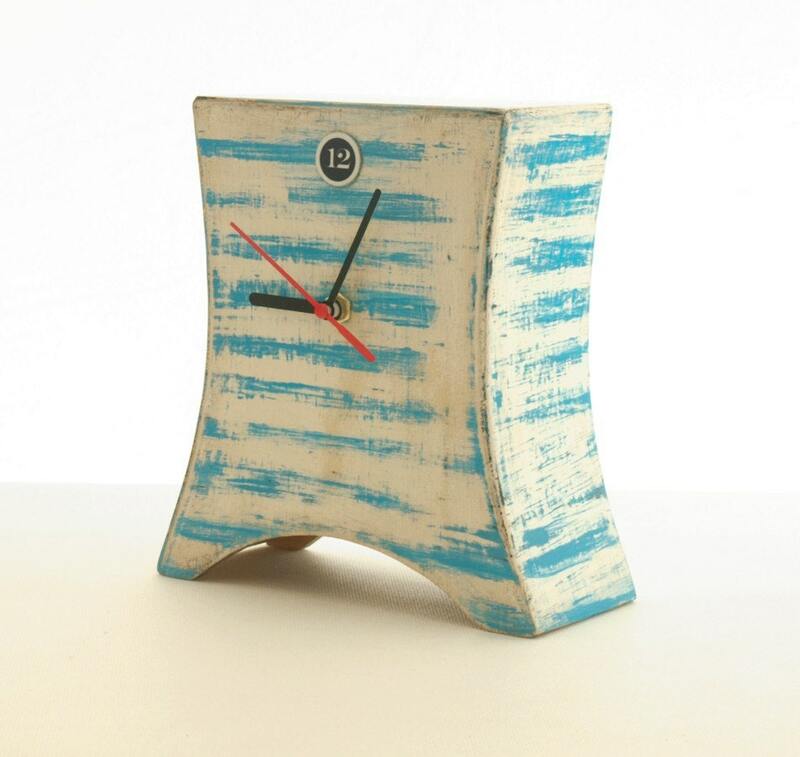 Wood Clock is handmade and handpainted and Black & white are dominant color. This Black Table Clock is protected ecological varnish. Great gift ideas in vintage style, Mantle decor and usefull everyday. 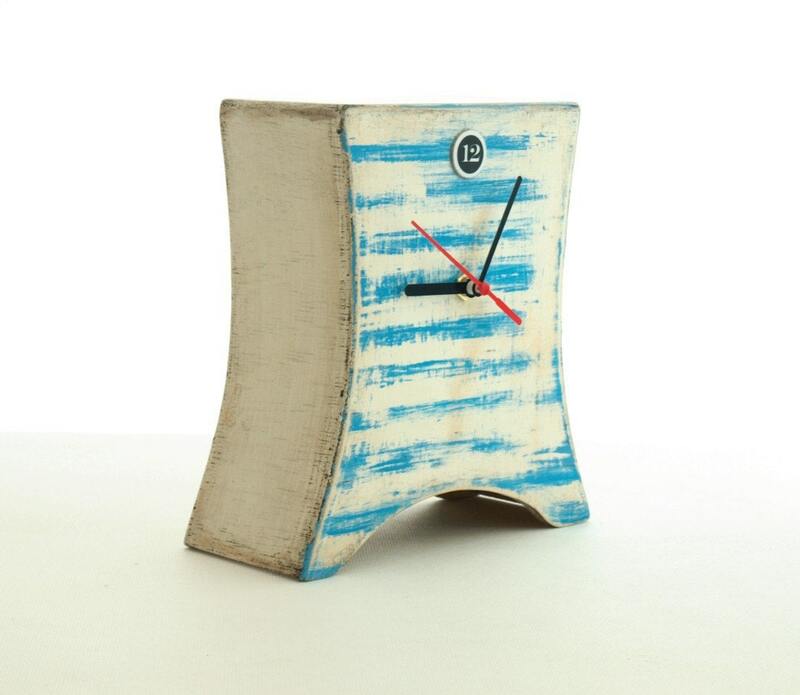 Absolutely the only such clock entirely made by ClockWoodStudio. Its a nice clock, it clicks VERY LOUD!!! Its very light weight, hollow inside, had to figure out how to put the battery in and the size of the battery it needed to work. It took almost a month to get to South Carolina. If it didn't tick so loudly, I would give it 5 starts. Thank you. Great clock and easy transaction!